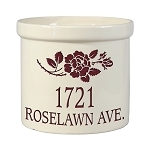 This highly durable, personalized stoneware crock will add style and personality to any home or business. 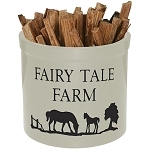 Use as a house marker or planter for your entryway, or maybe as a decorative accent to your hearth to hold kindling. Makes an attractive container for magazines-newspapers, kitchen utensils; also great for use as an ice bucket or door stop. The possibilities are endless! Can be used both indoors or out. 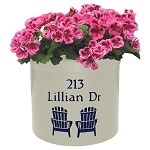 Perfect for a housewarming or wedding/anniversary gift. 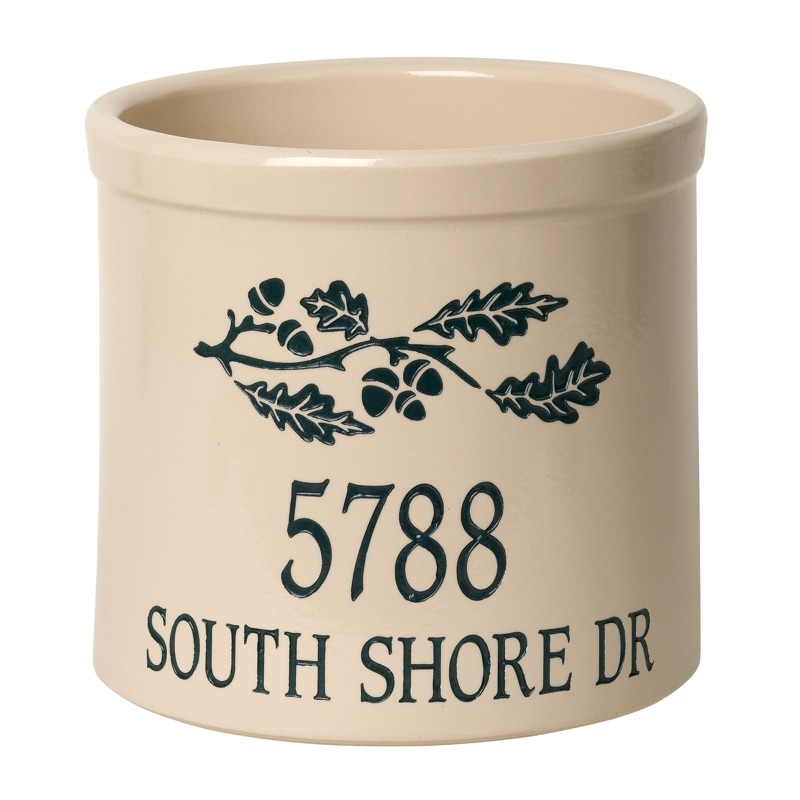 Handcrafted in the USA from premium Tennessee clay, then protected with a lead free glaze. Detailed design and personalization is deeply carved and painted in your choice of four different weather resistant finishes. Made in USA.